The Serial ATA standard provides for the adoption of a new 15-pin drive power connector, replacing the ubiquitous 4-pin Molex connector. 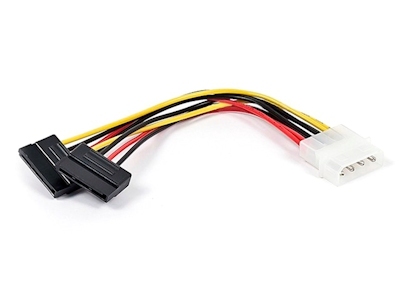 However, existing system cases and power supplies may have an insufficient number of SATA power connectors, while still retaining the older Molex connectors. This 6" adapter cable plugs into a 4-pin Molex power plug and provides a single 15-pin SATA power connector. 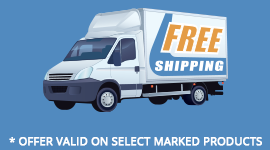 Warning: The Molex connector provides only 5 and 12 VDC power. While many SATA drives only require these power levels, some require the additional 3.3 VDC power provided for in the SATA specification. Make sure your drive does not require 3.3 VDC before purchasing this adapter cable.